SAF-T Auto Centers offers efficient oil change service in Waterbury, CT. Regular maintenance is more than essential it’s vital. Let our ASE Certified Techs get your vehicle on the right service interval schedule. Conventional, synthetic, synthetic blend, and high-mileage service are available for all makes and models, both foreign and domestic. Whether you are a traveler or a local, we offer efficient and professional oil and filter change service to get back on the road quickly. Same day service and walk-ins are available Monday through Friday. 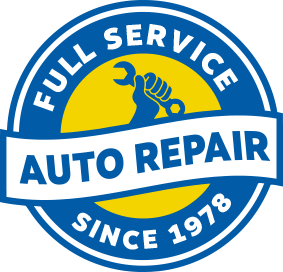 Let our technicians preserve your vehicle’s performance and dependability, call (203) 755-7238 or stop by our 40 Industry Lane location. Conventional filter and oil change service are necessary every 3,000 miles or three months. Newer vehicles, high-performance, and imports use synthetic blends or full synthetic oil and intervals can be between 5,000 to 10,000 miles without requiring service. Additives and advancements in synthetics and blended oil allow service intervals to be extended because dispersants, detergents, and rust inhibitors are added to increase performance and lifespan. Additionally, additives increase efficiency and aid in overall performance. Every make and model’s service interval varies from manufacturer to manufacturer. You can find the correct interval within your owner’s manual or stop our shop and a technician will be happy to help. Oil is important because it is the lifeblood of your vehicle. Regular oil change service is important to preserve your engine’s performance and avoid unexpected breakdowns. Engine oil has a big job; reducing heat, lubricate moving parts, remove dirt and particles, and reducing friction. Staying current is imperative to your vehicle’s general health and dependability. What Happens if I Forget or Fail to Change My Oil? Forgetting an oil change isn’t the end of the world; it can happen to the best of us. Yet, it is essential to not make a routine of it. If you forget regularly, your engine may suffer and performance and fuel efficiency will diminish. The potential of possible breakdowns will also increase. The worst-case scenario, your engine could lock up and require replacement. Oil losses viscosity eventually and removal of dirt, carbon, and particles that build up becomes more difficult. Do not let this happen or run the risk bring your vehicle to SAF-T Auto Centers of Waterbury, CT.
Found at 40 Industry Lane; SAF-T Auto provides full-service maintenance and repairs including brake service, check engine light diagnosis, and efficient oil change service to the community. Locally owned and operated, we offer small town service that is affordable price and keeps our customers coming back and safe. Call, stop by, or schedule service online today!